— Pamela Stewart, regional manager for Colorado State Patrol. Despite a relatively small population, San Luis Valley is spread over a large area — almost 9,000 square miles. This vast territory presents many unique challenges for the valley’s PSAP, San Luis Valley 911. 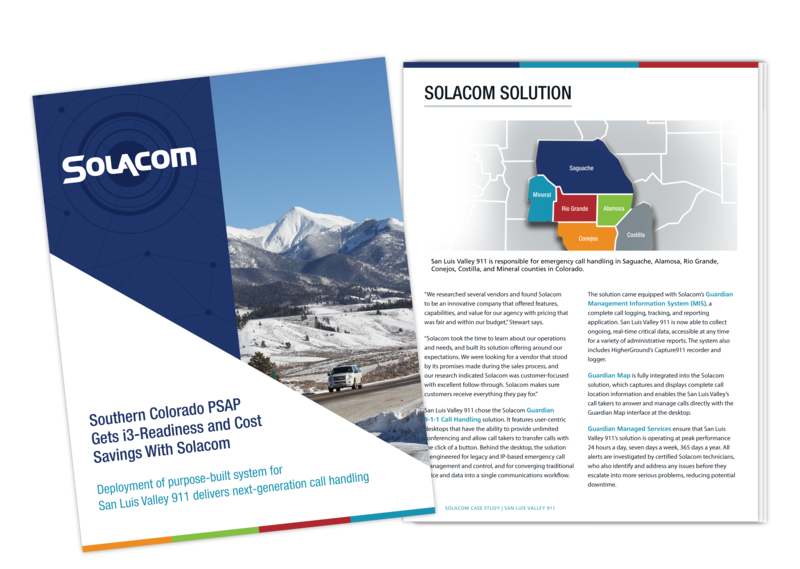 Download the case study to learn how Solacom got Colorado's San Luis Valley 911 i3-ready and improved their bottom line.